Dropout Nation just got a hold of the American Federation of Teachers’ 2010-2011 LM-2 filing to the U.S. Department of Labor. It’s lovely. The nation’s second-largest teachers’ union spent $34 million on political activities (including lobbying) and contributions to what (in theory) should be like-minded groups. This includes $350,000 to the Economic Policy Institute, the think tank whose education studies always seem to dovetail nicely with the positions taken by the AFT and the National Education Association. The AFT also handed off $150,000 to Build a Stronger Ohio, the political group which unsuccessfully attempted last year to derail John Kasich’s successful campaign for Buckeye state governor; $10,000 to the committee that organized July’s Save Our Schools rally; $165,000 to Al Sharpton’s National Action Network; and $33,319 to the National Council on Accreditation of Teacher Education, the group charged with validating the quality of ed school offerings. Given Sharpton’s vocal support for charter schools (and that another beneficiary of the union’s largesse, the Center for American Progress, is also one of the nation’s foremost school reformers) it’s apparent that the AFT’s spend — and the underlying strategy behind those contributions and advocacy efforts — is working out as well as that of the rival National Education Association. The union found enough money to hand off to once-respectable education historian Diane Ravitch; it handed Ravitch a $5,655 honorarium during the reporting period. As for the AFT’s leadership: They were well paid this year. 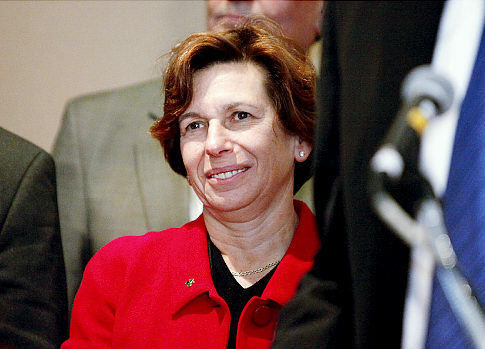 President Randi Weingarten collected $493,895 during 2010-2011 (a 15 percent increase over 2009-2010), while her second-in-command, Loretta Johnson, picked up $369,408 in compensation, more than doubling her take from last year. The AFT’s top three officials earned $1.2 million, a 28 percent increase over the same period last year. Meanwhile working on the AFT’s staff is also sweet; David Dorn, the union’s director of international affairs, for example, collected $223,965 in 2010-2011, while David Strom, the union’s general counsel, earned $201,472 in the same period. Hartina Flournoy, the longtime Democratic Party operative who now serves as Weingarten’s assistant, earned $231,337 over that time. Nothing wrong with Weingarten and her team collecting nice checks. But those numbers, along with the big spending by the union this year, points to the corporate nature of education traditionalists who love to perpetuate cheap corporate welfare rhetoric in their defense of the indefensible. Again, it’s what you do with money, not making it, that matters most. A PDF copy of the filing (which can also be accessed at the Department of Labor’s site) can be accessed here. Dropout Nation will follow up in the coming weeks with additional analysis of the filing. Any idea who funds Parents Across America?